An attractive, modern and stylish filing system for the classroom or office. Organise a large selection of books in a unit which allows you to browse through book titles and save space. 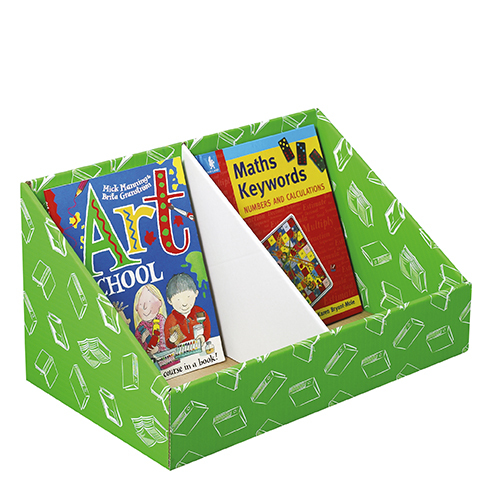 In mid-green, each Book Bin has two compartments for storage each measuring W250xD300mm. Made from tough corrugated board and supplied flat packed. H280 x W520 x D300mm.